I have Turbo runners on mine. Aren't turbo runners shorter than N/A ones thus giving you more clearance on the right hand side of your engine bay? Have any flow tests been done on these to see which runners are better? Do you lose any structural integrity by grinding the welds down? I reckon one ground down and painted would look good also. Brendan, how did you find the ft with yours? any dramas or leaks? Last edited by morepsi; 26-12-05 at 15:54. No leaks, I just bought a thinner battery as my cooler pipes go right downthru where the origianl battery position was, also had to move the power steering pump. I am very happy with mine. with the 25 head. When did he start milling the bottoms? brought my own bridgeport milling machine to do them, as i want them to be a easy fitup for the customers. Last edited by jdcustom; 21-06-09 at 15:29. 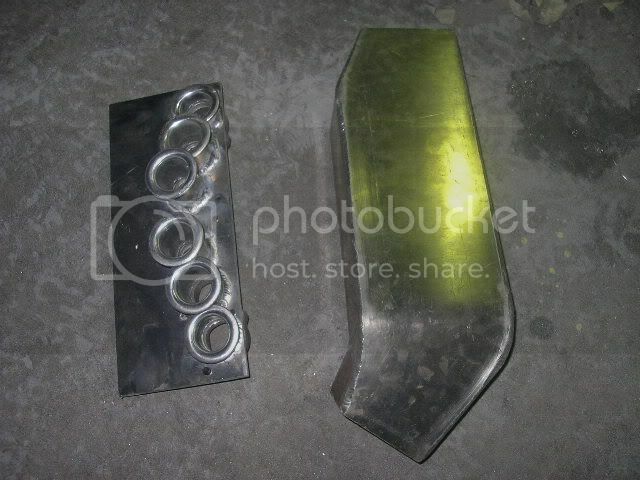 Have you flowbenched the Rb20/25 plenums? have you made rb25 ones and how do they look and how can you make them look? 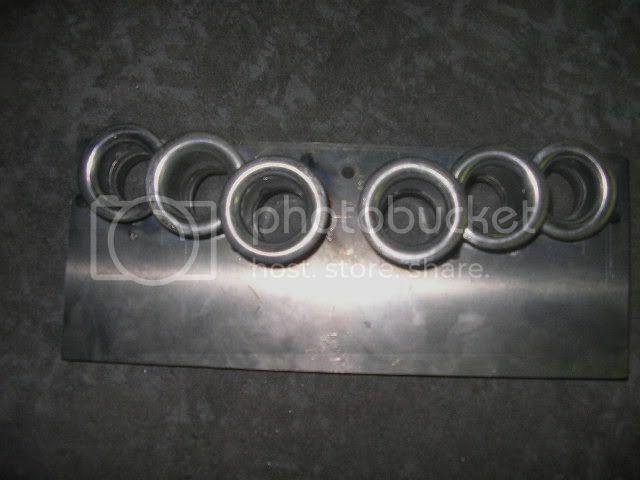 heres a pic of a rb25 one, i can polish it as in pic. 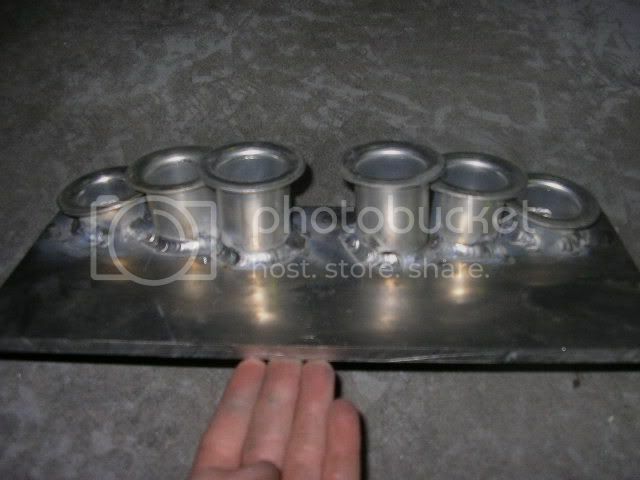 can you pm me a pic of the plenum alone and how much it would be? 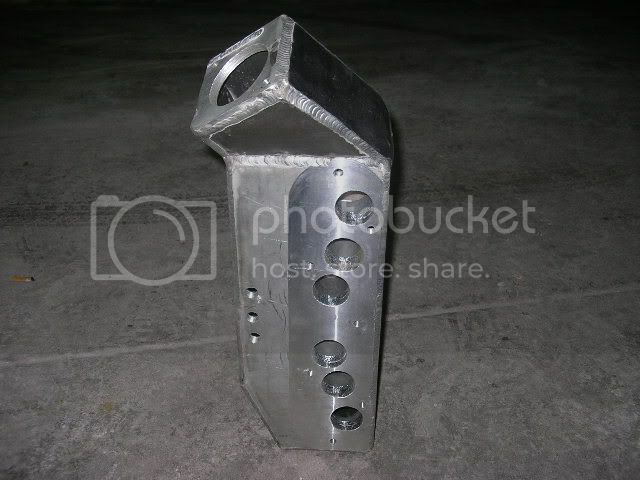 love the look of these plenums, they look tuff as, pm sent buddy. Last edited by EQUIPD; 05-02-06 at 15:33. Got mine the other day and was polished to a mirror finish. Having bougt 2 others in the past 3 years in the past i must admit the newer plenums have much improved in many ways. From the material used to the trumpets and even down to the welding and the milling at the base things have come a long way and i recon you are now on a winner Jamie. 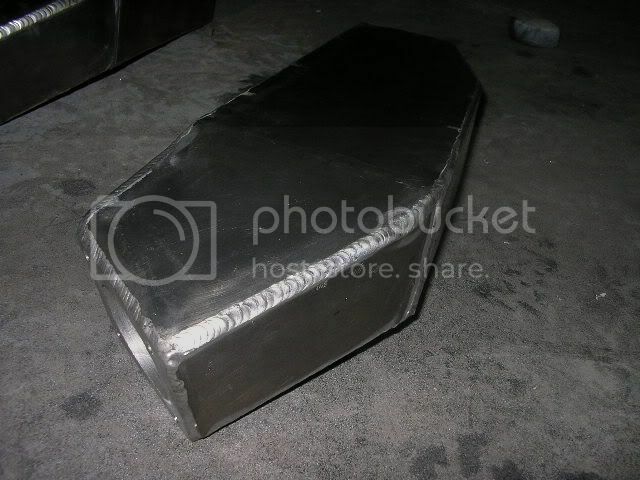 These are a great plenum guys for the price. I used one years ago, jamie was more than helpful and the car went on to run 10.5 @ 130mph with a simple setup. why are the trumpets different length ? is there any proven results it works better this way the inside of the plenum ? as compared to no trumpets on the inside of the plenum ? They'd be absolute poo without bellmouths...knew a guy years ago that made his own plenum and didnt use bellmouths...was very doughy and unresponsive. Ok thank you for that , so i gather the 2 center runners are the shortest as in cylinders 3 and 4 intake runners and then 2 and 5 cylinders right up to the longest runners 1 and 6 cylinders. Judging from the pictures it seems there is some shrouding of the trumpets to there neighboring ones or is the picture deceiving. You mean like the picture of the RB25 in the Vl about 10 posts before yours on this same page?? will u sell the plenum to run on stock ecu with all the fitting needed to plug all that **** into an just the cooler pipe from the t/b to the cooler bye nechance?